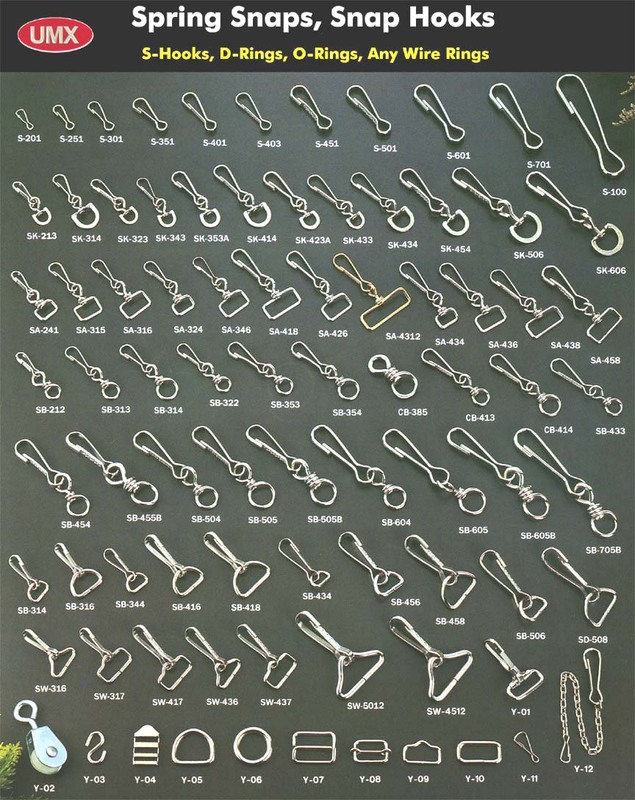 Since 1968, we have designed and manufactured, fasteners, hooks, loops, snaps, spring snaps, snap hooks, suspenders, suspender clips for garments, footwear, handbags, suitcases, belt, fishing, boating industry and military applications. With assorted shapes, styles, sizes and materials available. Any Custom Made Snaps, Spring Snaps, Snap Hooks Welcome. 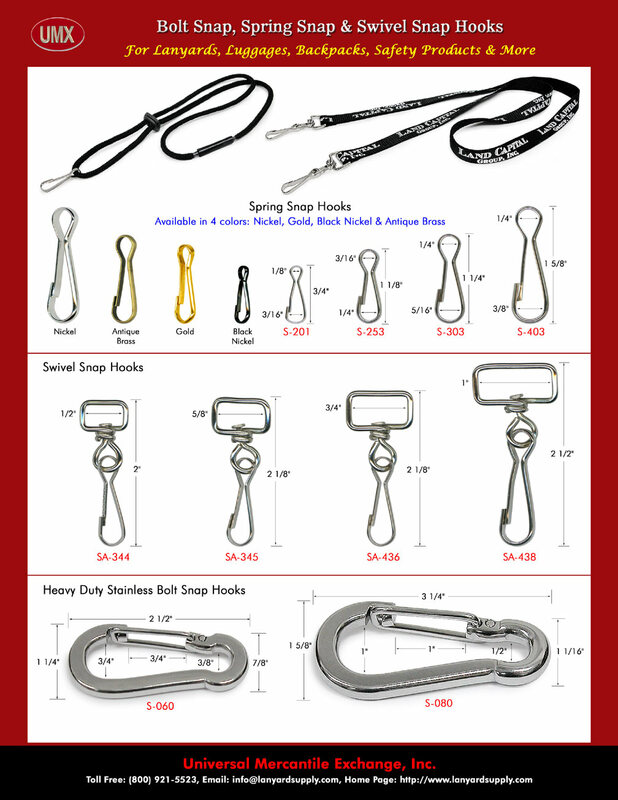 Large Picture of Snaps, Spring Snaps, Snap Hooks Series 1.